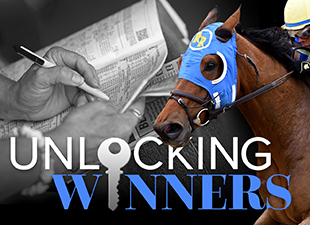 Unlocking Winners posts tagged "Thoroughbreds"
Will Enable Complete the Arc-Turf Double? Will McKinzie Come Back a Winner in Pennsylvania Derby? Who Will Win the Woodbine Mile? Will Oscar Nominated Prevail Again in the Kentucky Turf Cup? Will Sunny Ridge Upset the Woodward Stakes? Who Will Win the Travers Stakes? Will Robert Bruce Rebound in the Arlington Million? Will Backyard Heaven Upset the Whitney Stakes? Who Will Win the Coaching Club American Oaks? Will Rugbyman Upset the Dwyer Stakes? Will Dr. Dorr Win Again in Gold Cup at Santa Anita?